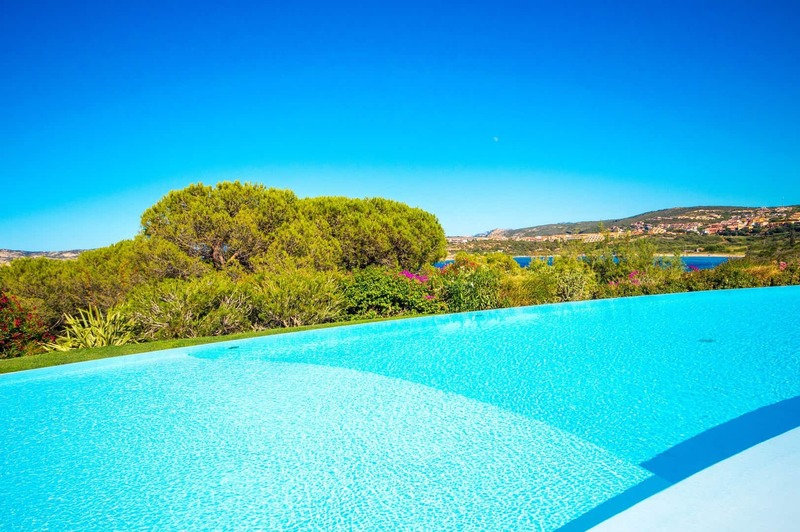 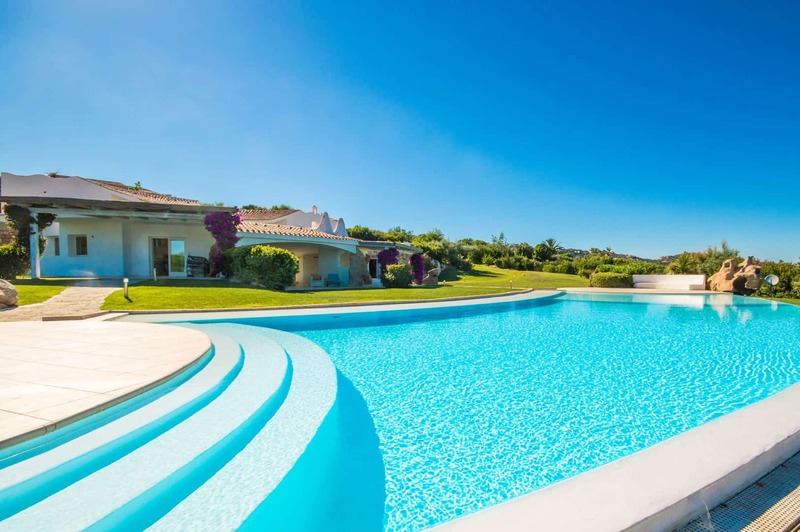 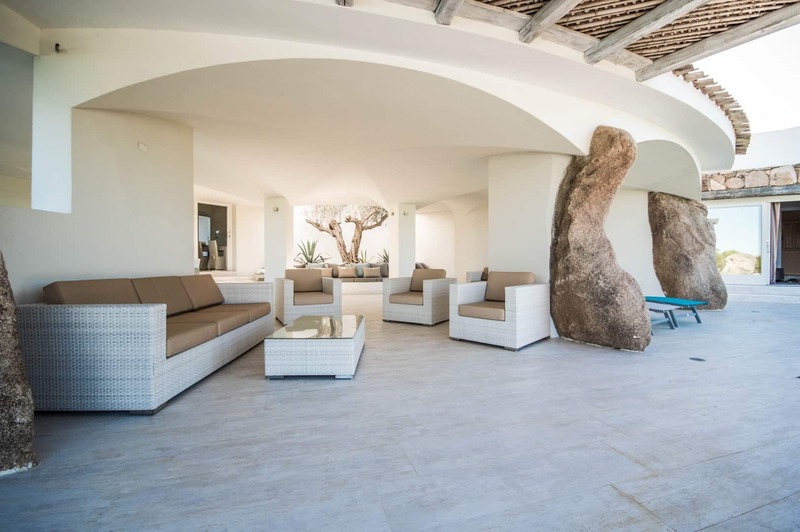 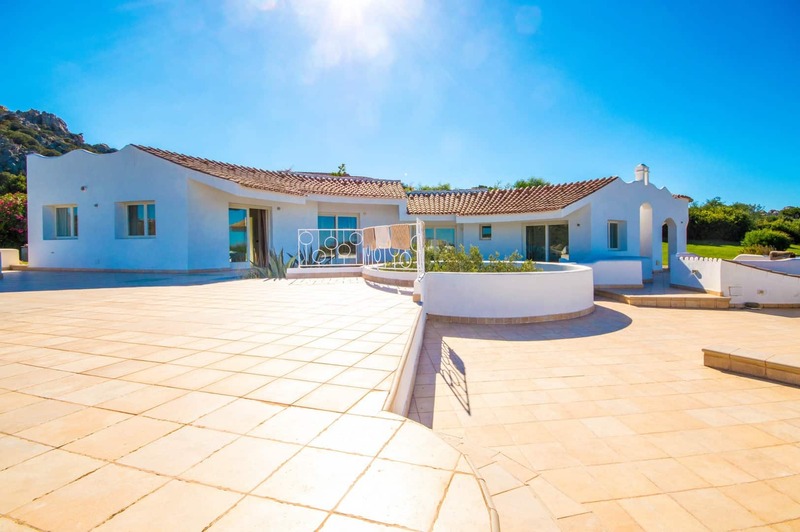 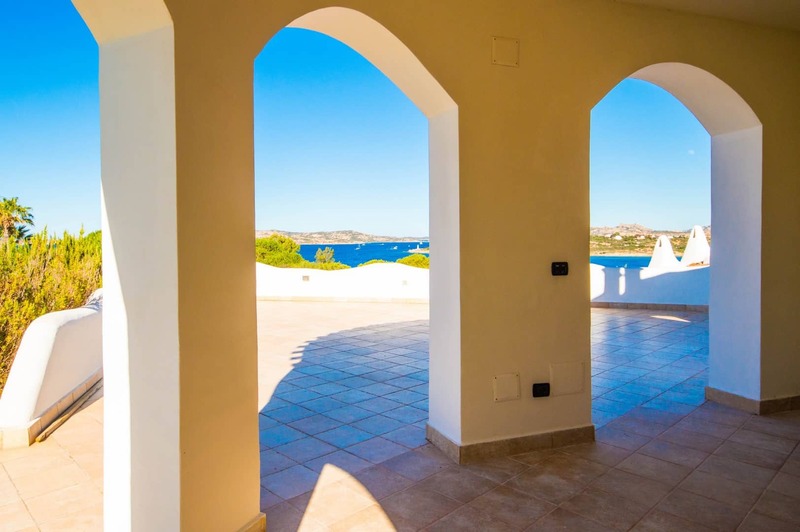 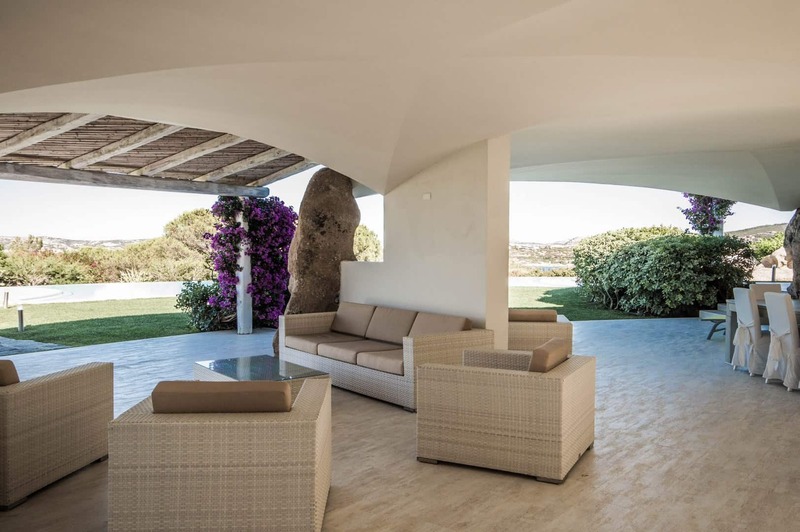 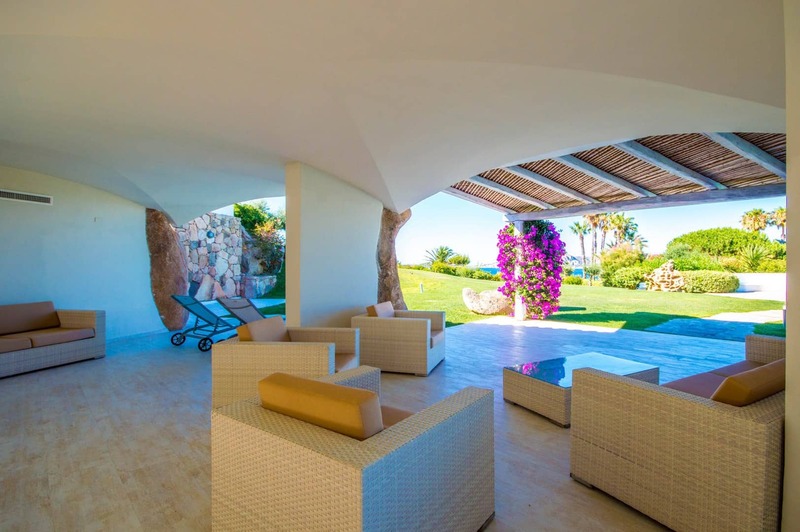 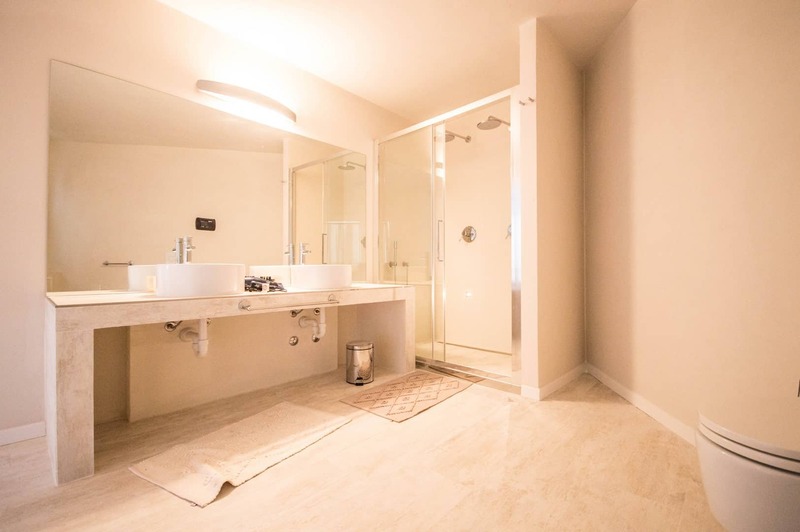 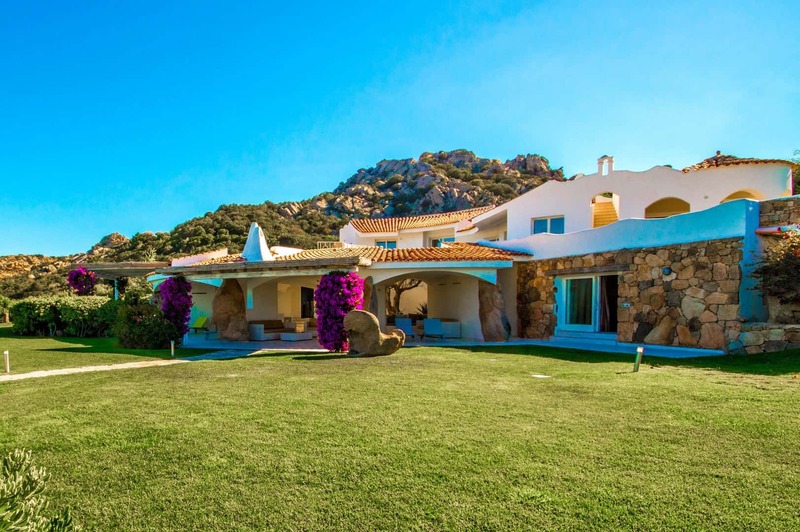 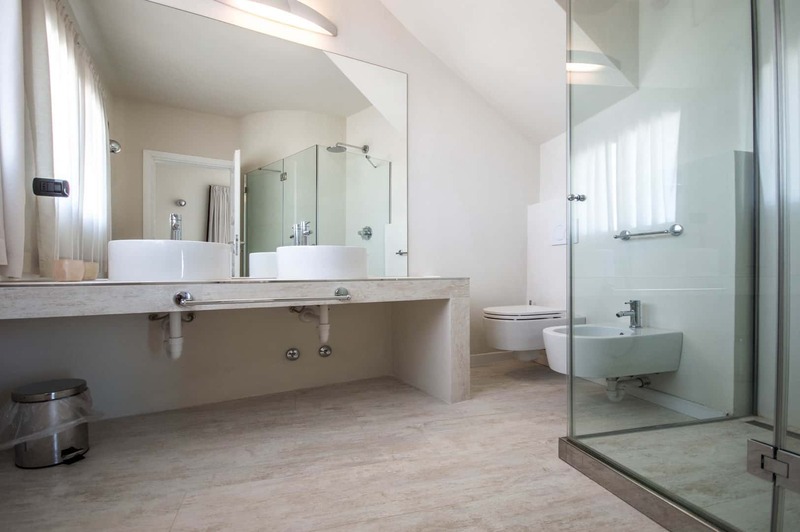 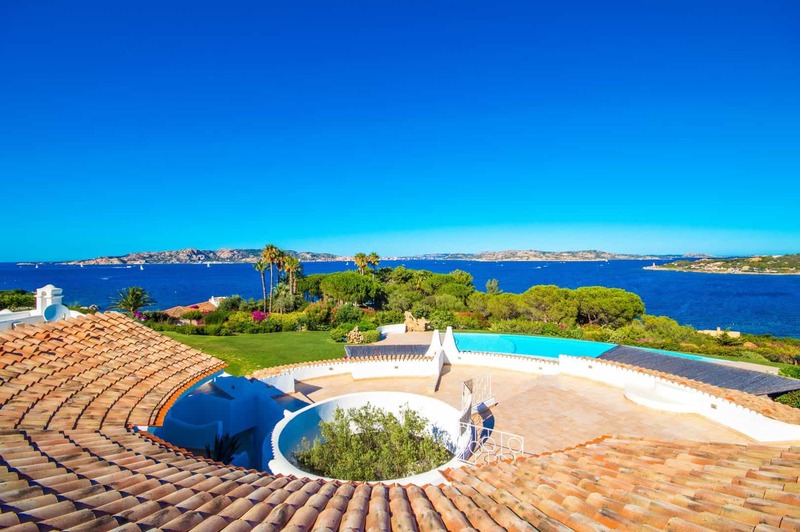 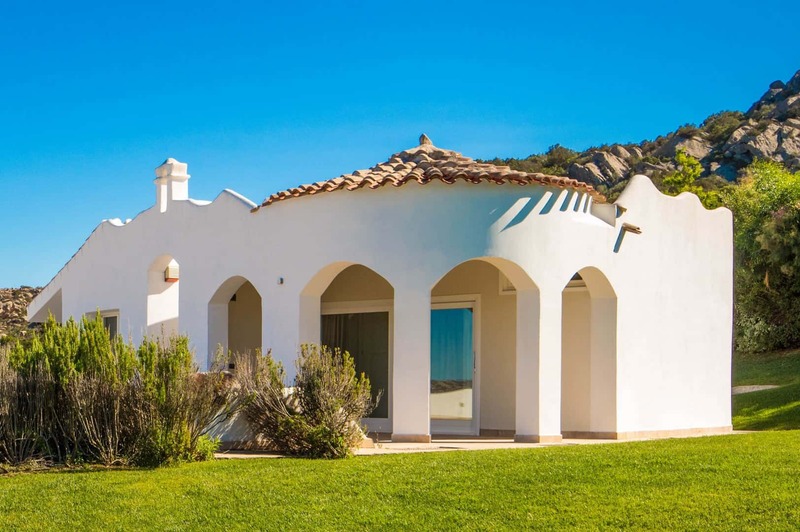 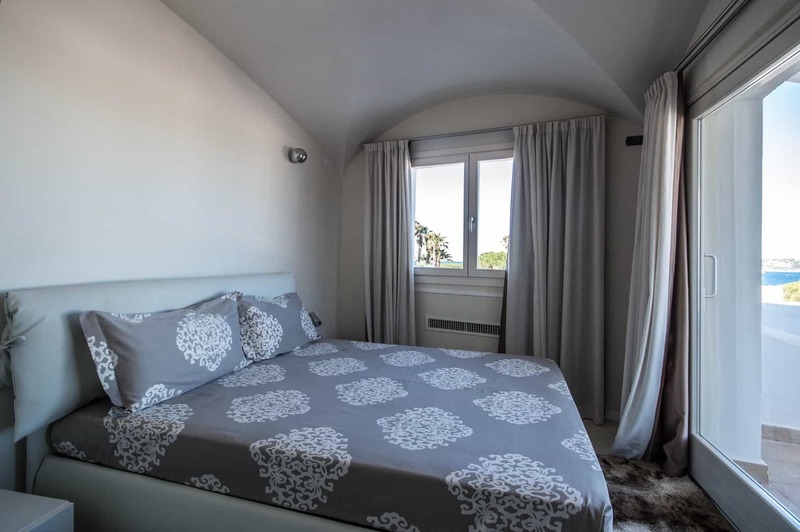 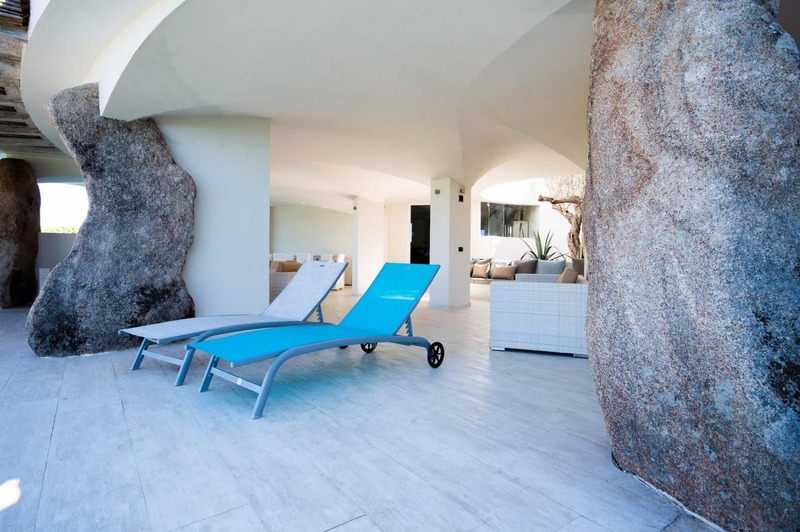 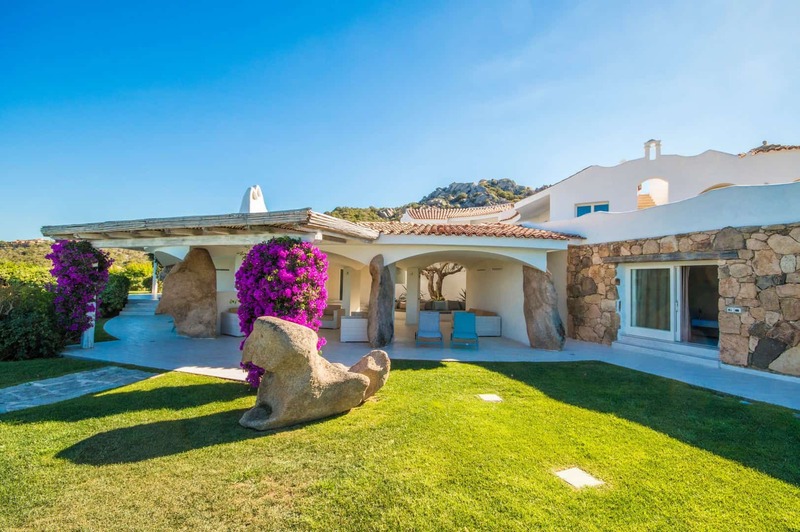 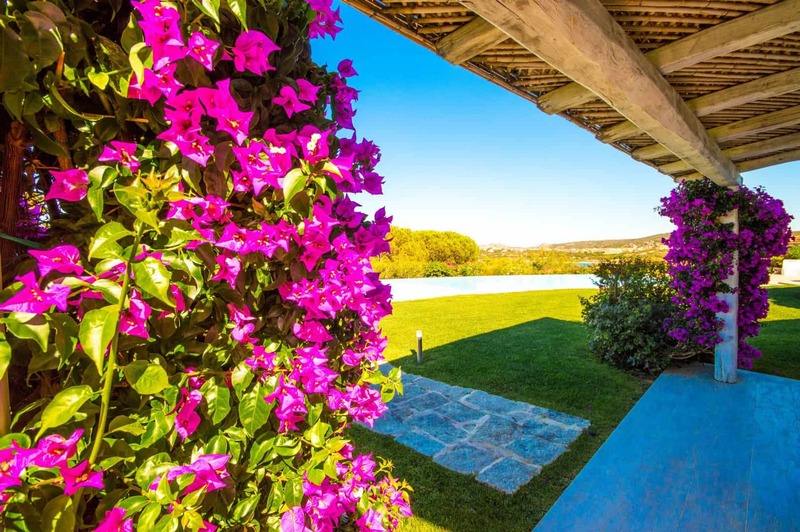 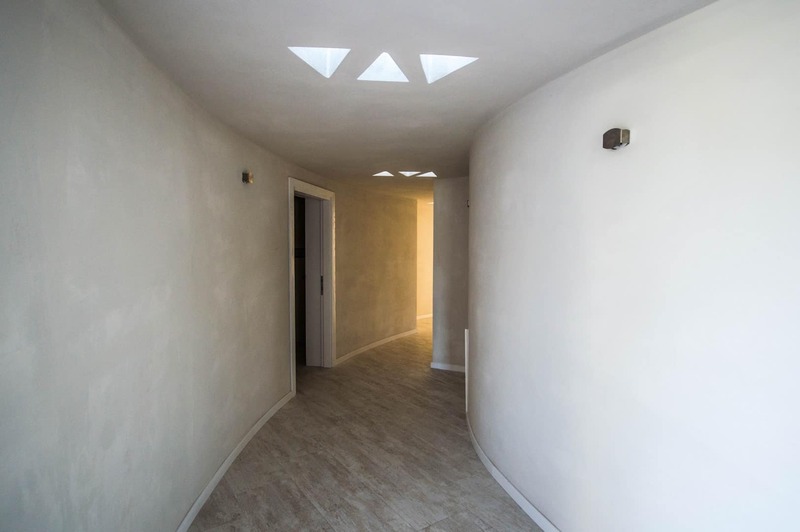 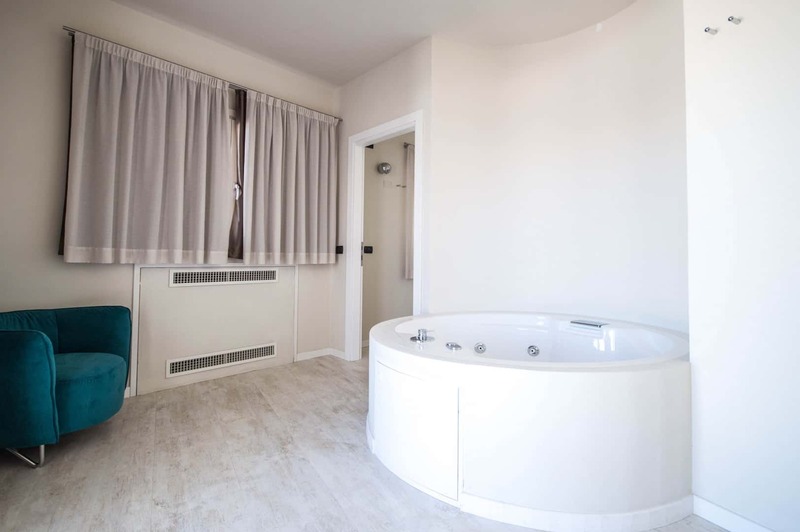 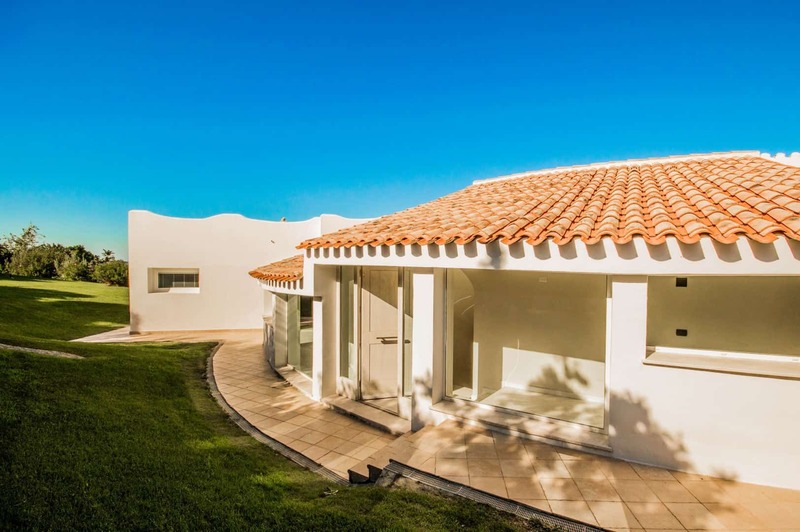 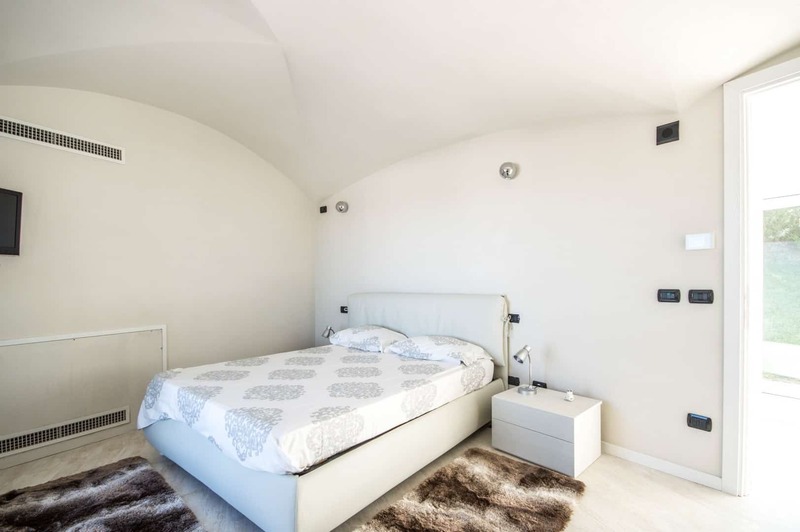 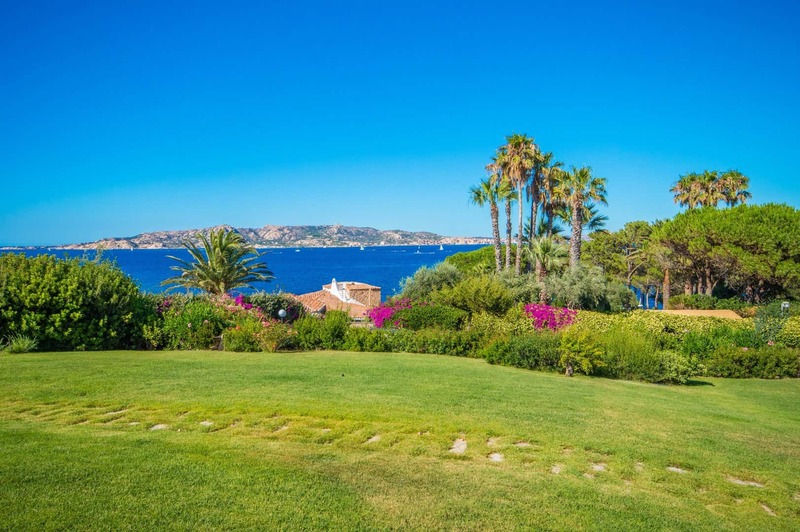 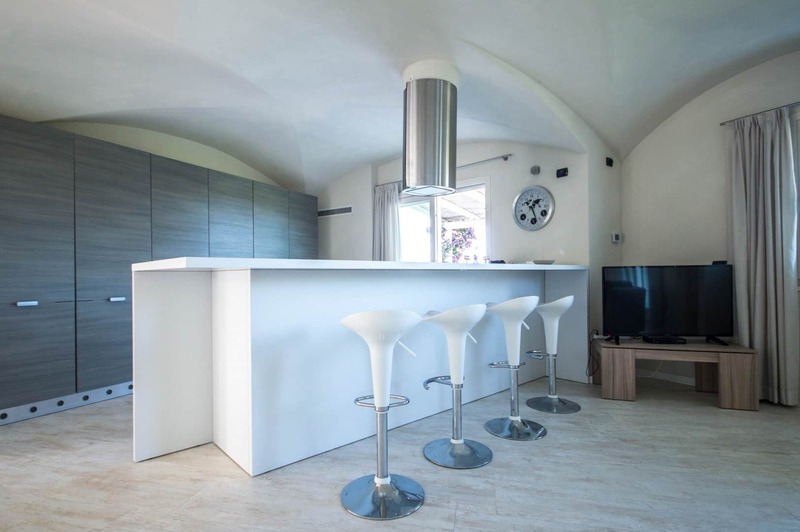 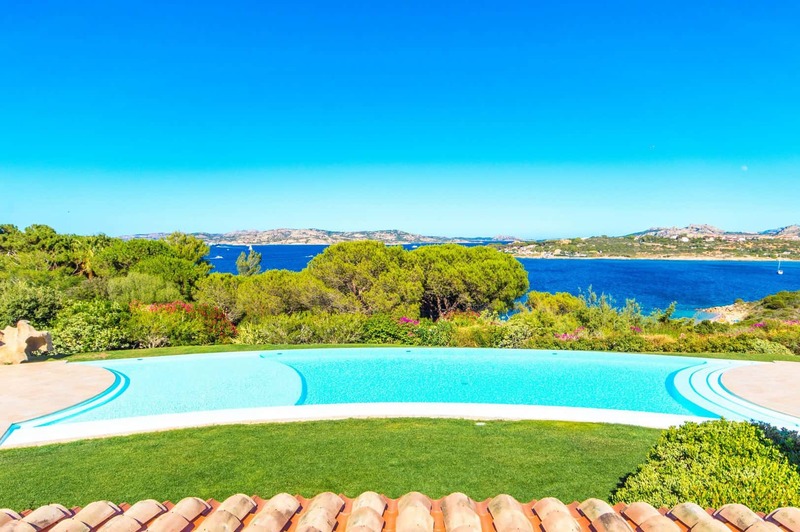 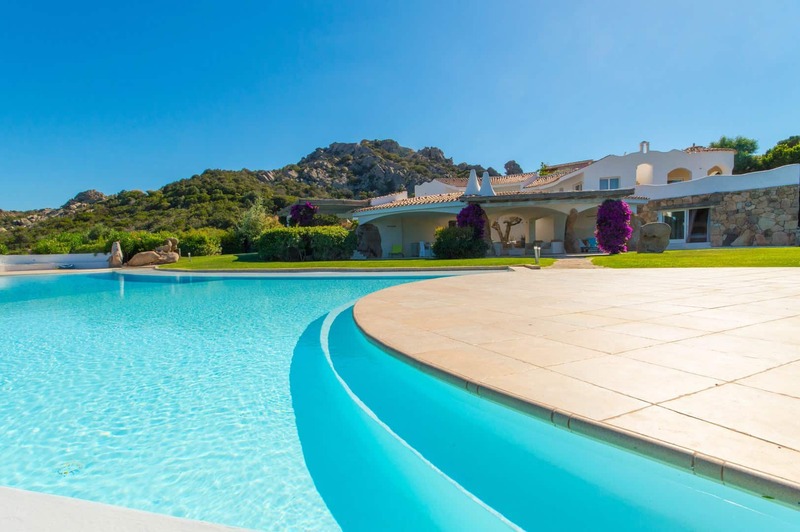 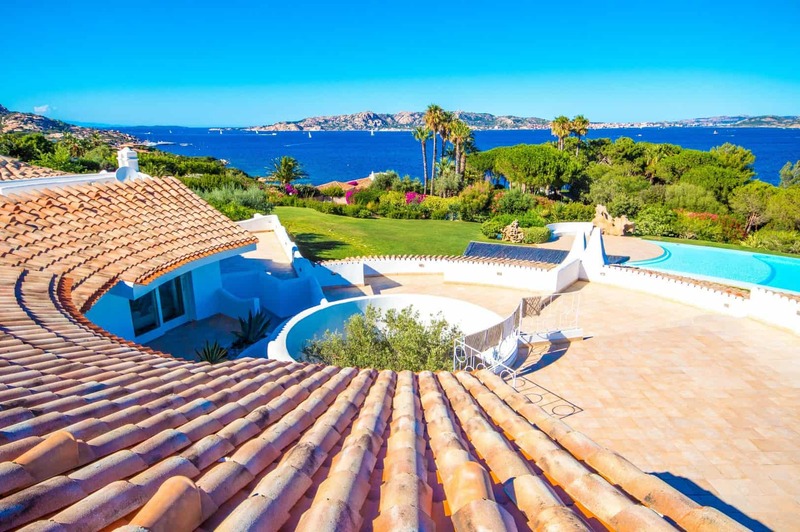 Villa Nelson is located on the northern shore of Sardinia, a nice property 50 meters from the beach of Baja of Nelson and boasts spectacular views of the Mediterranean Sea. 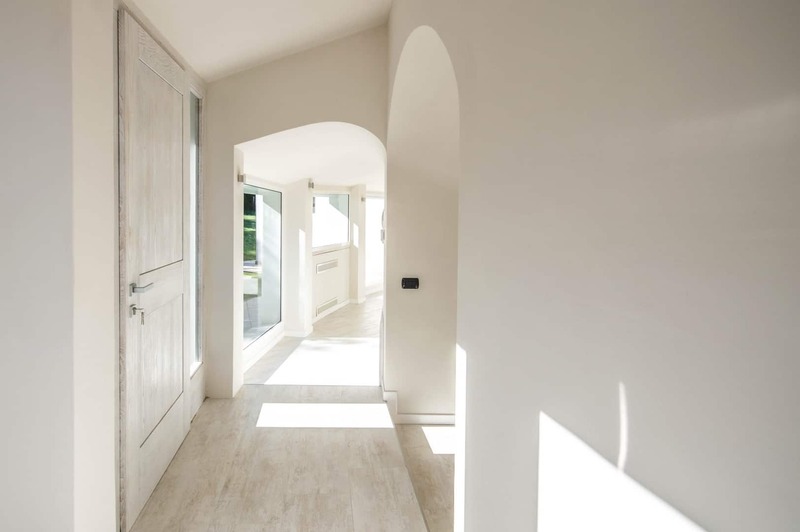 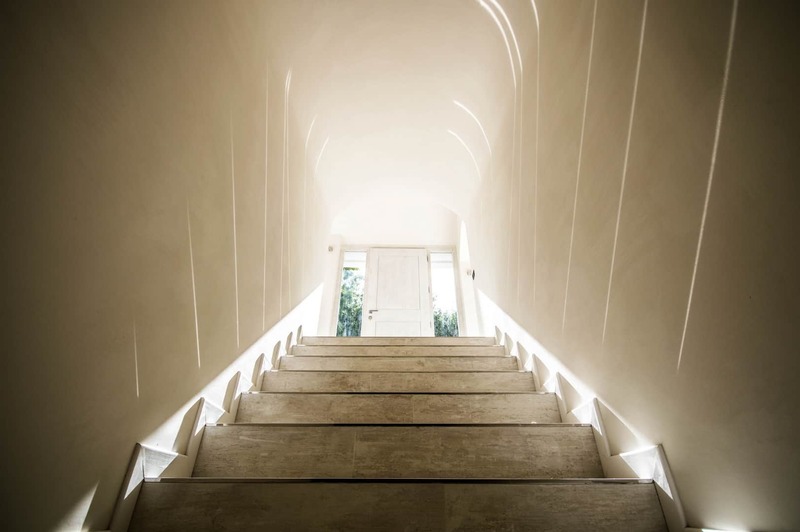 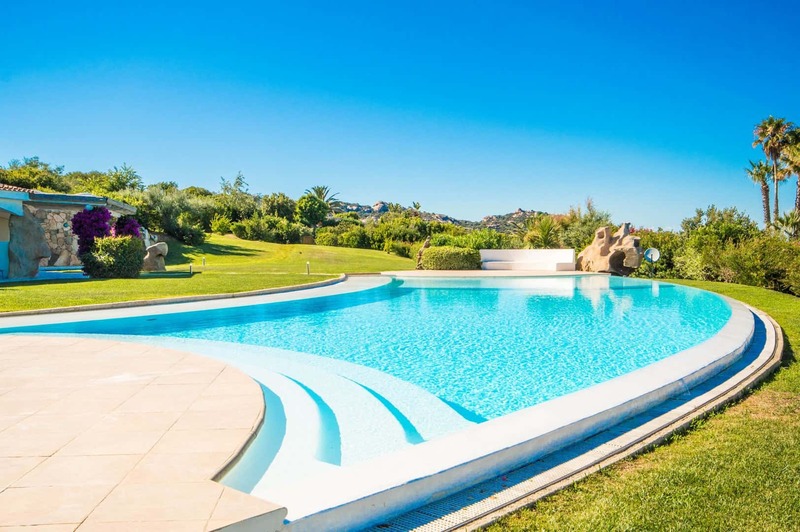 With five bedrooms accommodating ten, along with exquisite outdoor and indoor living spaces, Villa Nelson is a perfect setting for destination family reunions and groups of friends seeking a unique and stylish sanctuary in Sardinia, Italy. 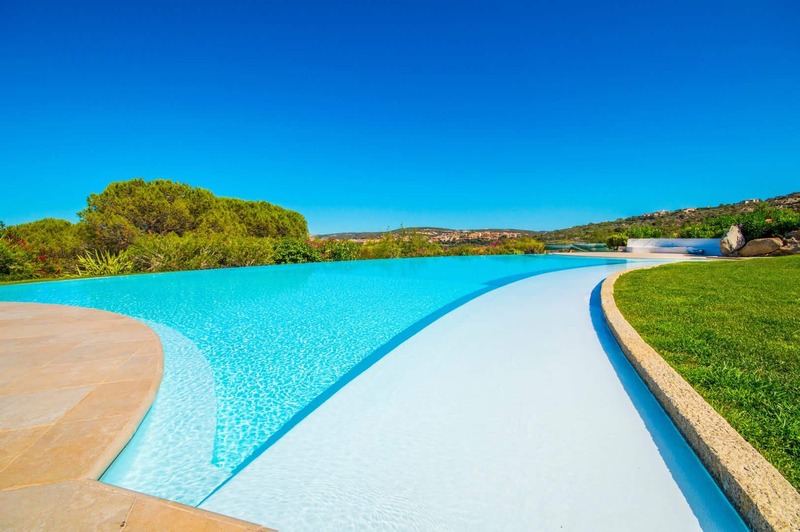 Bathe in the gorgeous infinity swimming pool and relax on elegant loungers while gazing on the crescent shoreline and dreamy horizon. 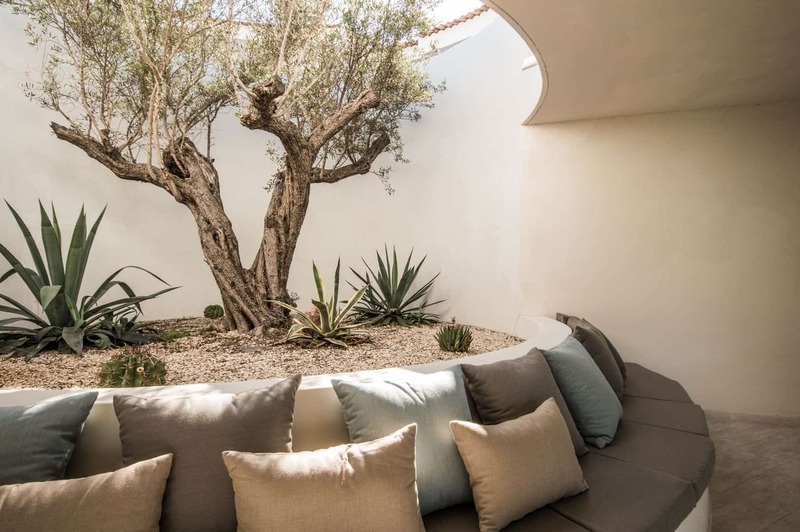 Withdraw into the lounge for a glass of fine, Italian wine in the pergola. 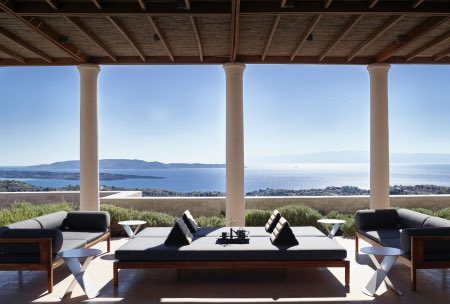 Villa Nelson has a contemporary elegance of the furnishings and materials perfectly matches and accentuates the beauty of your surroundings. 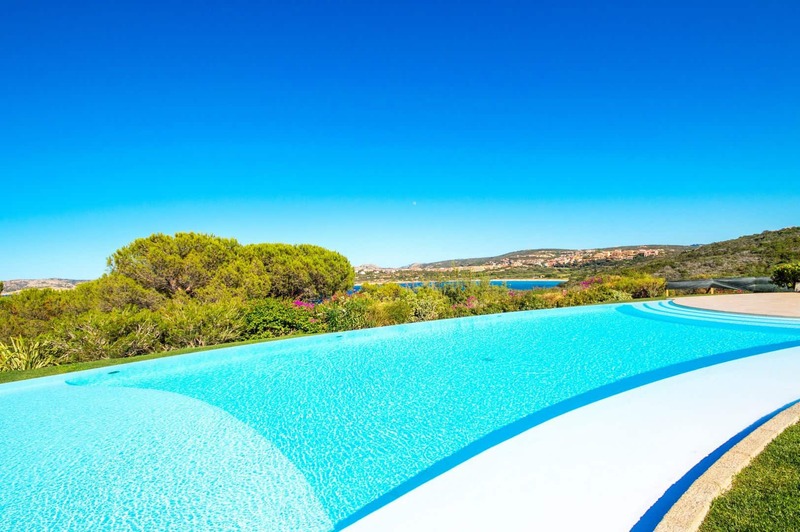 The small resort of Porto Rafael was founded on the North Eastern coast of Sardinia by Raphael Neville, Count of Berlanga de Duero, in the late 1950s. 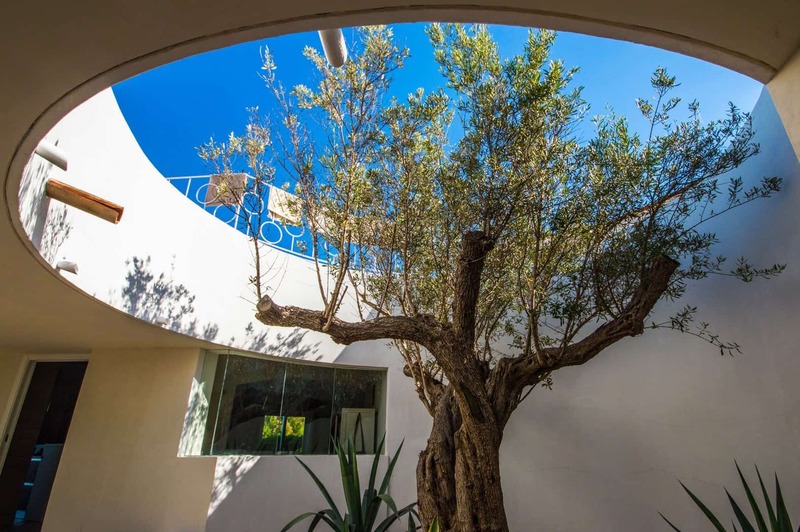 Neville was an artist, and the son of Edgar Neville: Hollywood film director, playwright, and novelist who became a close friend with Charlie Chaplin and Mary Pickford. 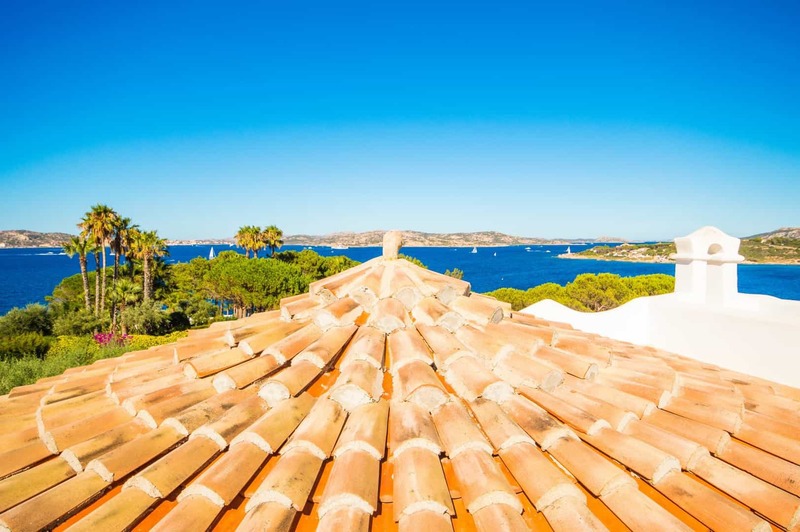 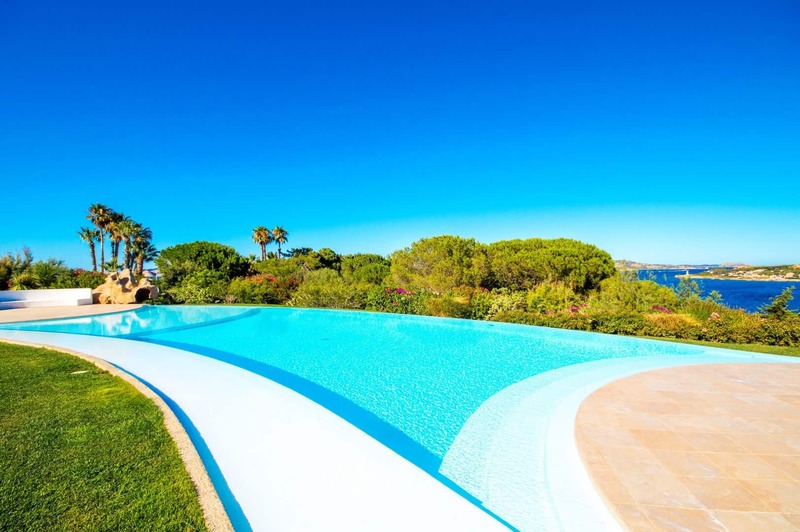 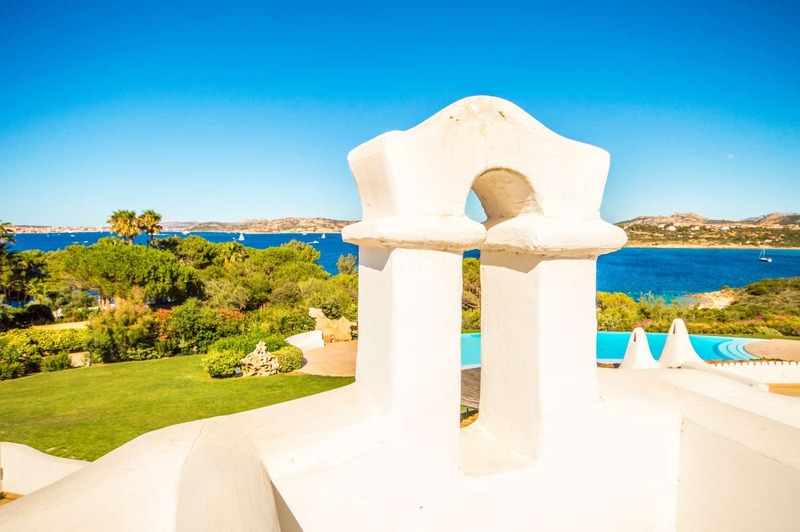 Several celebrities built their houses in Porto Raphael, choosing this place above the more flashy Porto Cervo because there weren’t hotels: it was quiet, secluded and far from prying paparazzi. 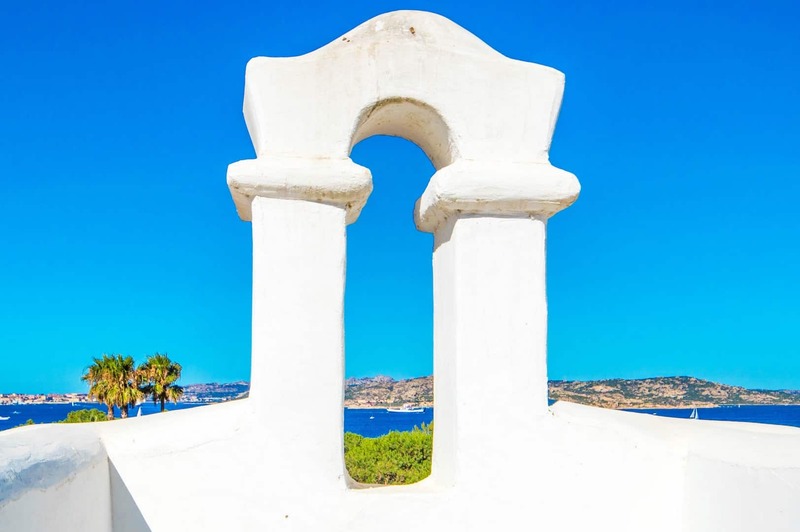 Along with the chapel, in the center of Porto Raphael, there are restaurants and boutiques. 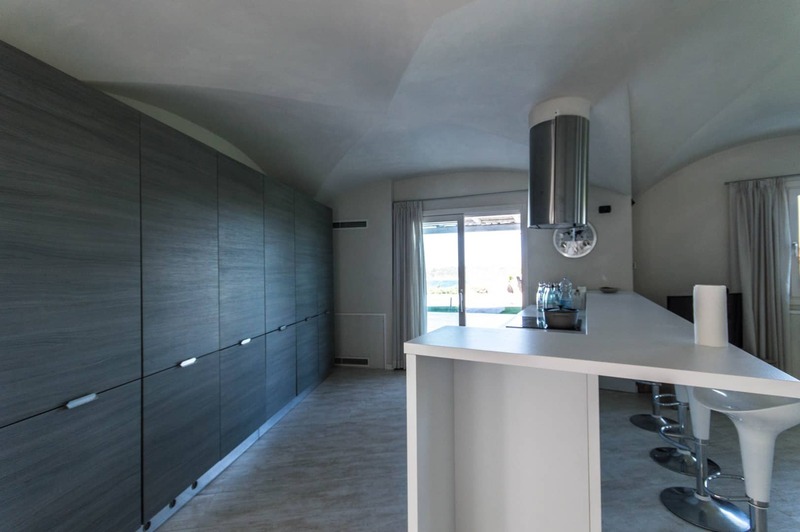 At the beach, beyond the Piazzetta, there is a wooden pontoon for incoming tenders. 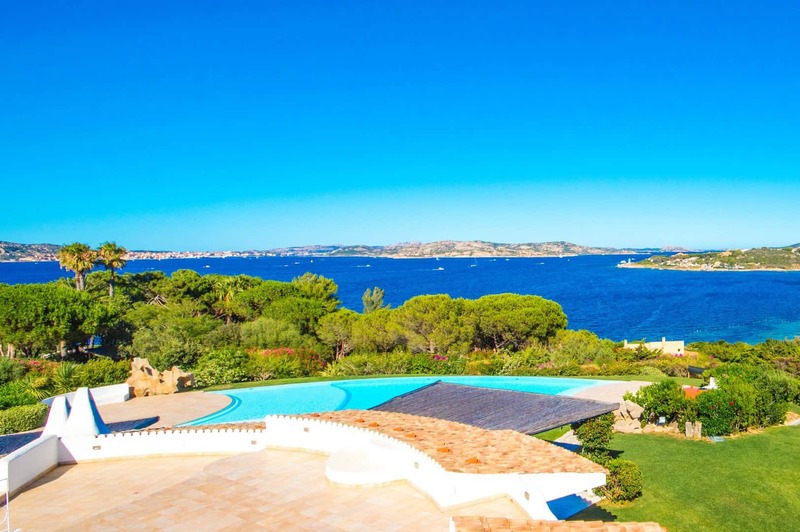 There is also a yacht club at Marina Porto Rafael. 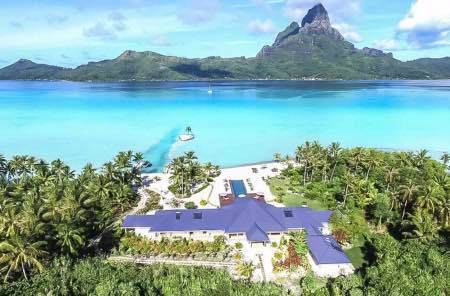 There are a couple of small beaches and two tennis courts. 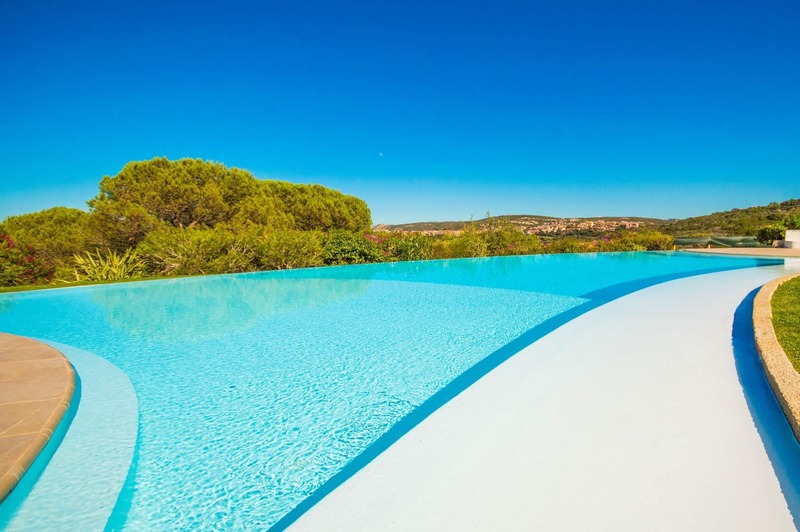 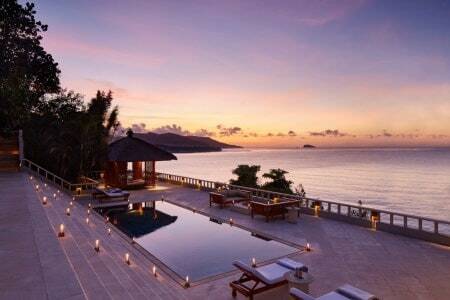 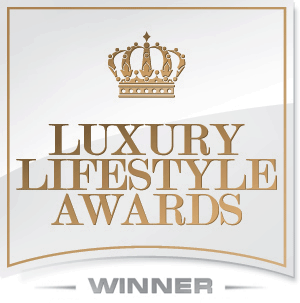 The resort has always been developed with care and it remains valued for its charm and privacy. 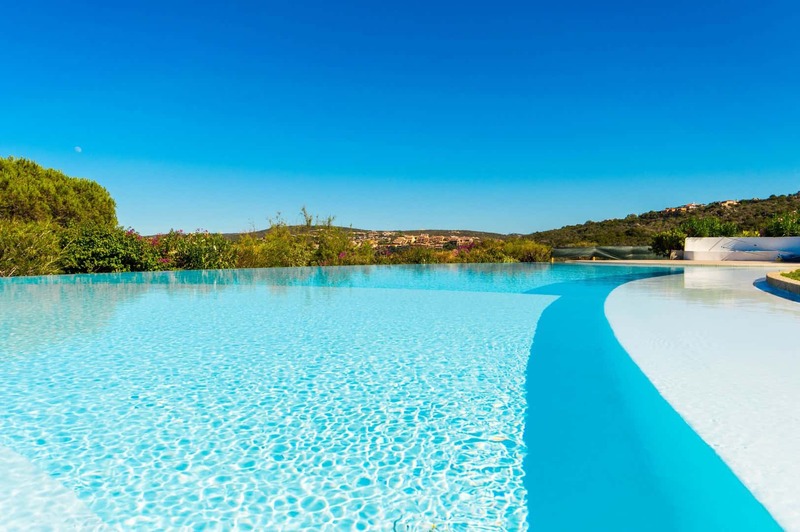 Outdoor Facilities: Equipped swimming pool with umbrella and deckchairs, external dining area. 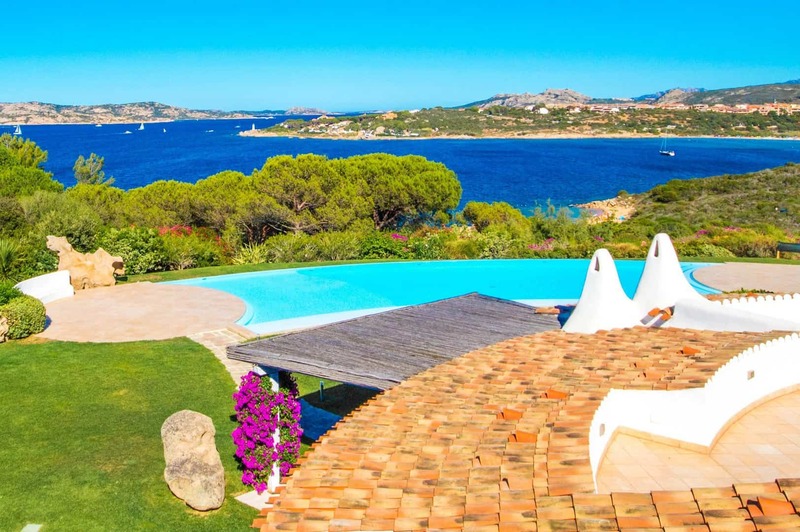 Getting There: Region:​ Sardinia Area:​ Nord-est – ​Coast: ​Near Costa Smeralda Town:​ Porto Rafael – Palau – ​Province:​ OT Ports and Airports: Airport of Olbia: 43 km; Port of Olbia: 45 km; Port of Golfo Aranci: 48 km; Port of Porto Torres: 116 km; Airport of Alghero: 147 km.